Perkins did a pretty good job of summing up what we’ve been doing here the past three weeks at Rafiki, so I’ll do my best to share some new tidbits. GAMES is now done-zo and it came just at the right time…we are all pretty tired and just about out of creative ideas of how to keep 97 kids busy. Highlights have been home-made pinatas, parachutes, Wishbone episodes, one killer treasure hunt, dancy-dance music for the youngest (sample of lyrics: “If you’re wearing pants….stand UP!” and balloon relays. In the course of these games activities we’ve disciplined, lost our voices, face-palmed, and laughed ALOT. It was a great way of getting to know the kids in a more relaxed environment (and learning names before all the community kids return). Tomorrow we will start 5 weeks of being teacher assistants in the classroom. We are all pretty stoaked. We love getting to know the staff here. We have devos with them every morning and then we get to chat with some of them throughout the day, though they are often busy. 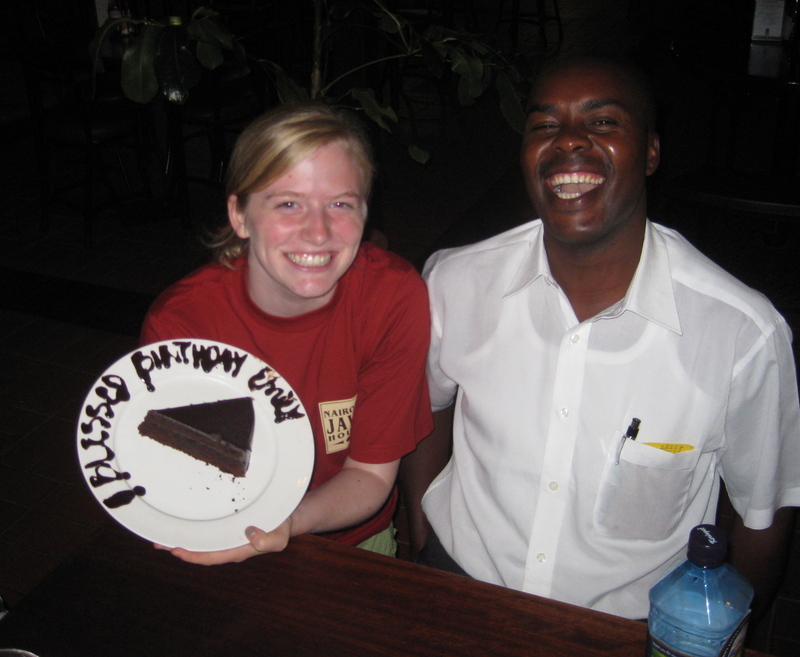 Janet, for instance, is our housekeeper, and she is probably the sweetest young woman I’ve ever met. The resident oversees staff (i.e. other Americans) have been great friends to us, having us over for cookouts, movie nights (we recommend Tom Hank’s 1989 horror-comedy “The ‘Burbs”) and hedgehog hunting. 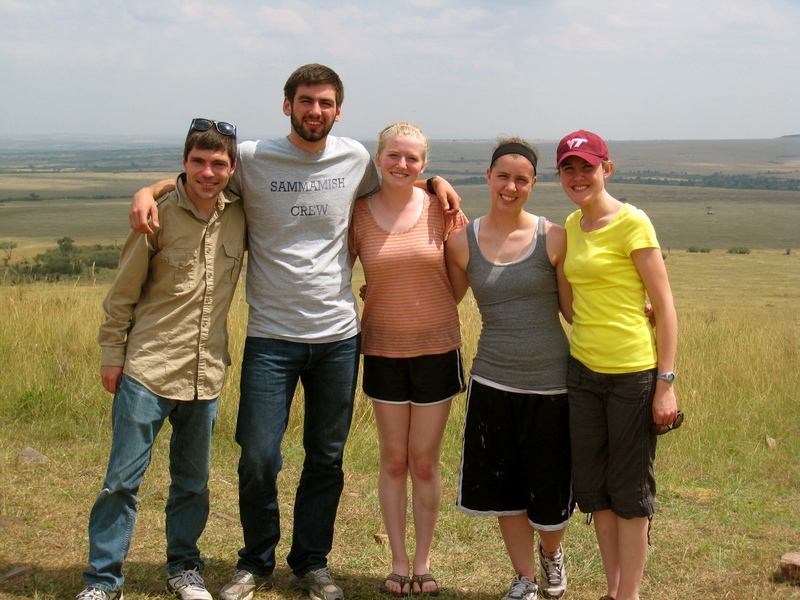 A few national staff took us on a walking tour of nearby Mwiki, and it was a really great experience for us all, seeing as though we are on the compound all week except for weekend excursions. 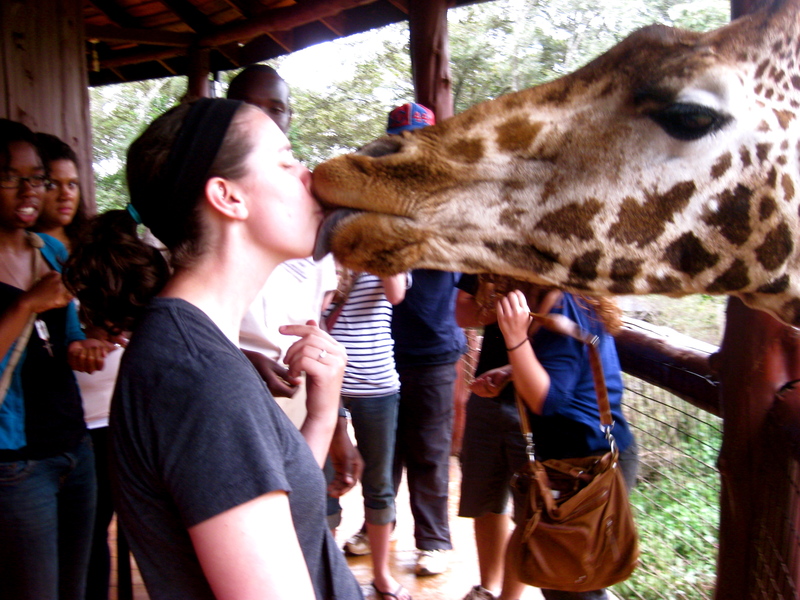 Some highlights from our sightseeing includes the giraffe center where you are this close and feed them pellets with your hands or between your lips (we all basically got french-kissed by a Giraffe…most action any of us will be getting on THIS trip! 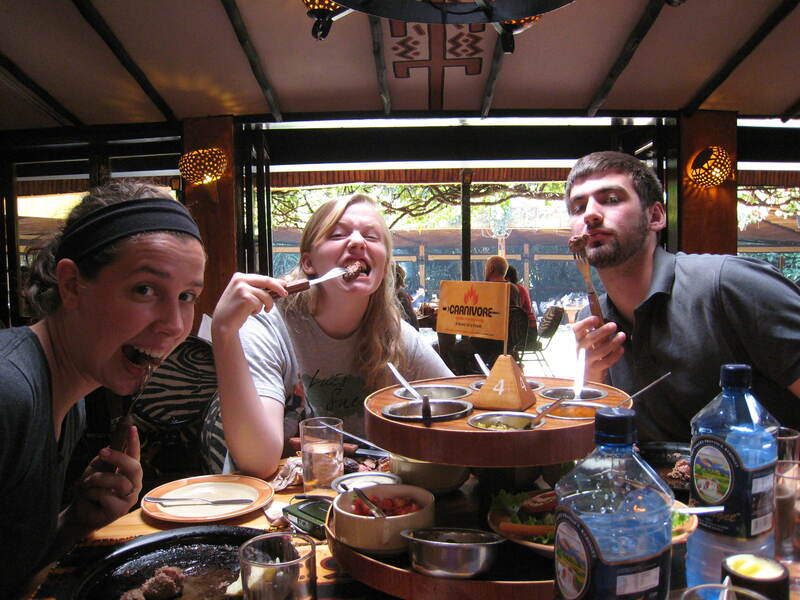 ), shopping at the Masai Market, eating exotic meats at the all you can eat restaurant, The Carnivoire (favorites: ostrich meatball, crocodile, and camel), and oh yeah….a three day safari. NBD. 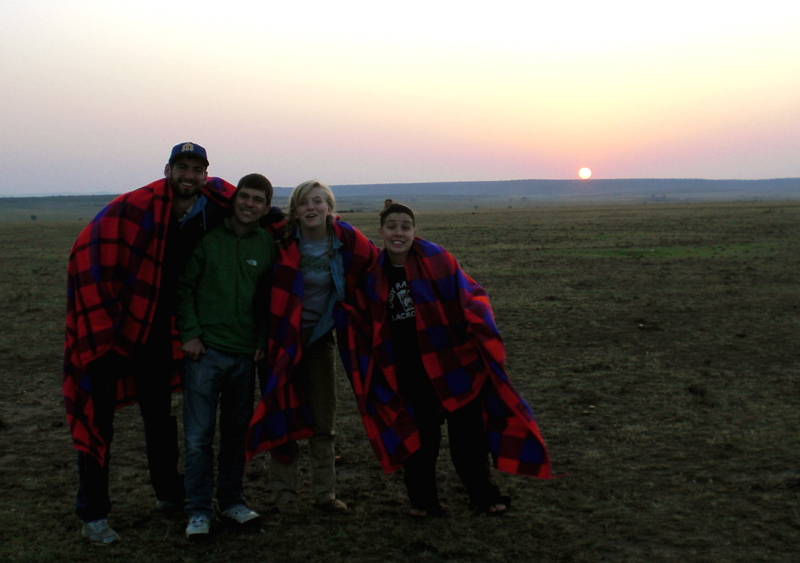 We love experiencing the country, but I think we all agree our time with the kids + staff is what we have enjoyed most. Probably our biggest challenges have not been with the work we are doing (though it can be tiring/frustrating) but rather living with the same people in the same space for 2 months. We are very open about our conflicts, but it is a daily challenge that we realize will not lessen through our own efforts, but rather through our dependance on the Lord. 1 Corinthians 13 has been the theme verse of our stay here, and we have all realized through these three weeks how hard it truely is to live out those verses of love, especially with people we didn’t choose to live with. I myself have struggled with hearing God’s voice and getting alone time without distraction….living in the same residence makes us all feel like that, I think, so we are going to instate a mandatory quiet hour. Our prayer request is that we will continue to rely on God for sustaining our energy and patience, and that His name would be ever on our lips, instead of snarky comments or words of anger that come from frustration. That being said, know that we really are loving every minute here, and praise that Lord that he has given us His joy to laugh and smile in every circumstance. 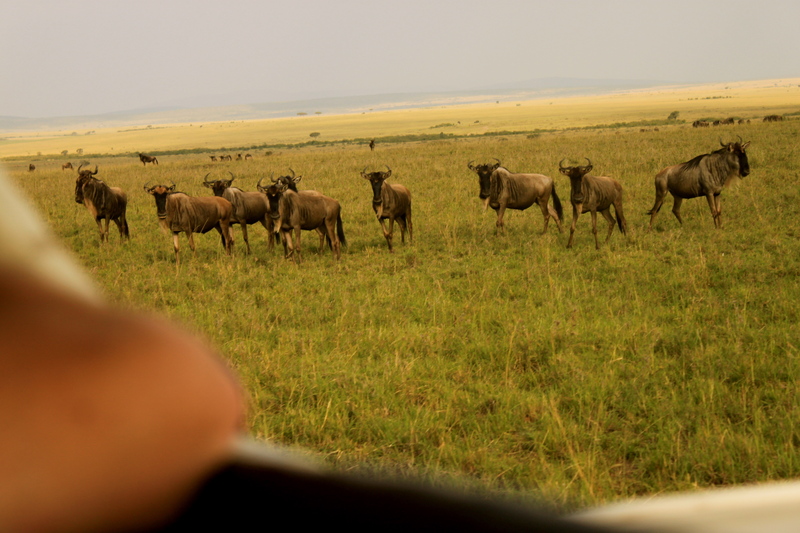 As I wait for my 1000-plus pictures from Safari on the Masai Mara National Park/Game Reserve to upload onto my computer, I figured I would write a blog post with an update of our happenings for the past few weeks! We have been living/working for the past 2.5 weeks on the Rafiki Orphanage compound on the northwestern side of Nairobi, Kenya. Our weekdays have been spent leading GAMES (acronym for games, art, music, enrichment and sports) for the resident children here while they are on their 3 week break in between 11 week school terms. These activities range from cutting out paper hearts and making yarn bracelets to playing soccer (or “football”) and running through our personally designed obstacle courses. We do 1.5-2 hour shifts with each age group of children throughout the day, rotating groups every 30 minutes. We eat lunches and dinners with the cottage households in a common dining room, and it has been a joy getting to know the Mommas during mealtime conversations. The children are an absolute joy to be around, and I regard them as beacons of God’s love and youth to all they encounter! They are full of energy, take nothing for granted, are easily entertained, love to sing, and are well-behaved (for the most part). The past week, each member of our Dep team has seen large improvements in ability to garner respect from the children as adult leaders while still having a fun time and building relationships with them. 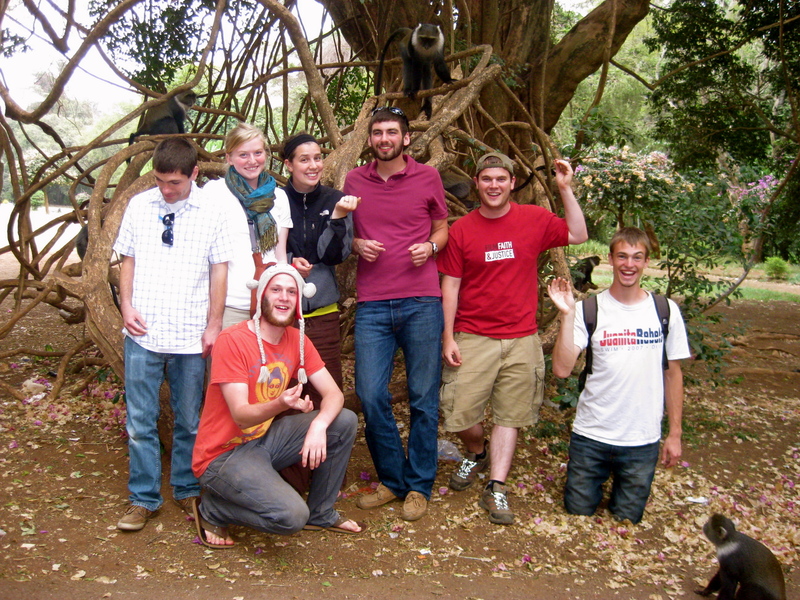 The Rafiki foundation is based off of the teachings of BSF (Bible Study Fellowship), and is attempting to relate everything – and I mean everything! – they are learning and experiencing to God and his presence as Creator and Sustainer of the universe. I grew up going to BSF, so it is cool to be able to see this in action with so many children on the other side of the world! The staff here has amazed me with their day to day reliance on God. They continually praise God for things I sometimes count as trivial and regular (the coming of a new day, food, shelter, and safety while sleeping/traveling), ask God for mercy and forgiveness because we are all sinners, and eagerly attempt to pursue glorifying God through their daily lives. This is inspiring to me and is definitely something I have been thinking of the past couple years, and plan on putting into practice for the rest of my life! After being here for a week or two, I am positive that God had a specific purpose for me to come here this summer. Looking forward, we have one week remaining of GAMES, and then the school term will begin next week. We will then begin working in the classrooms as teachers assistants. Our Deputation team is getting along well, having a great time, we are definitely learning a lot about patience and leveling with the needs of each other (1 Cor. 12:26). There are other “mini-missionaries” here sharing our living quarters that have been a joy to get to know them! We have spent our weekends on excursions throughout Kenya, which have provided a refreshing change of scenery to the busy, weekday happenings here at the orphanage compound. 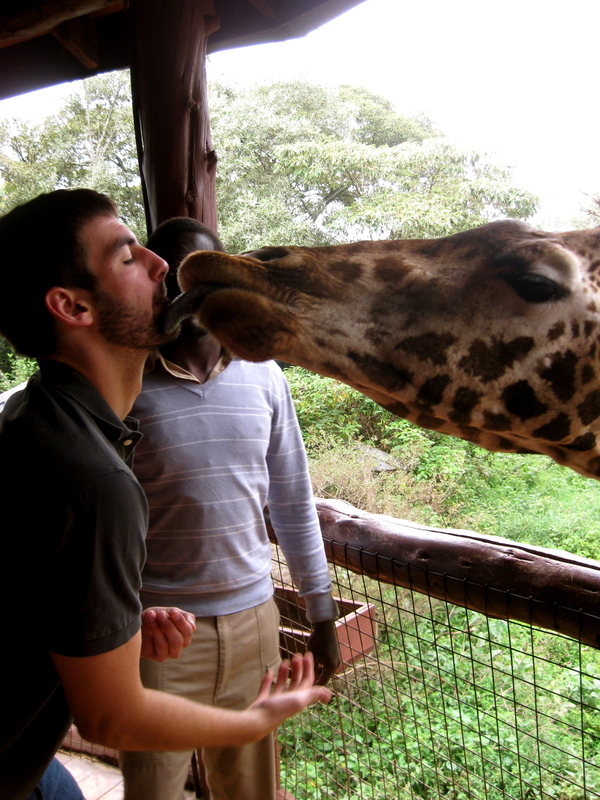 2 weekends ago, we visited an elephant orphanage, a giraffe center (where many of us “kissed” giraffes! 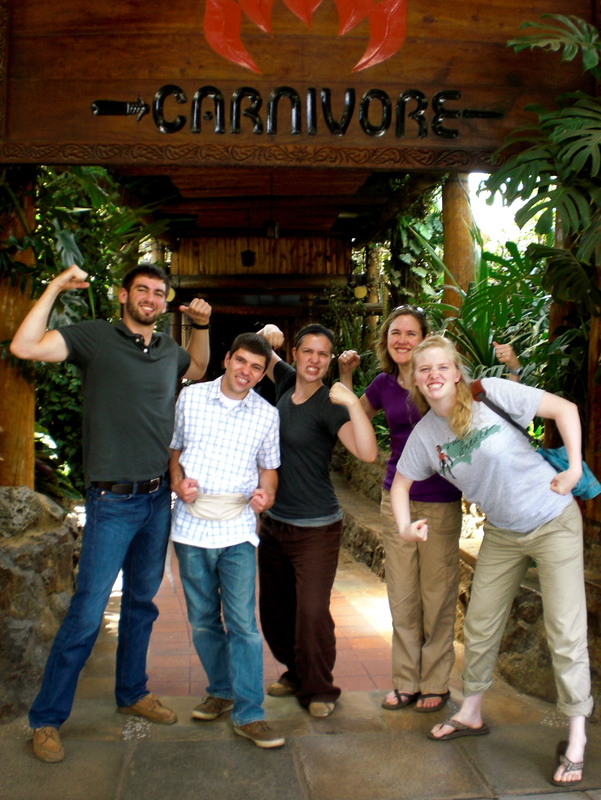 ), and the Carnivore (which is an exotic meat restaurant that I personally loved and ate to my heart’s content). 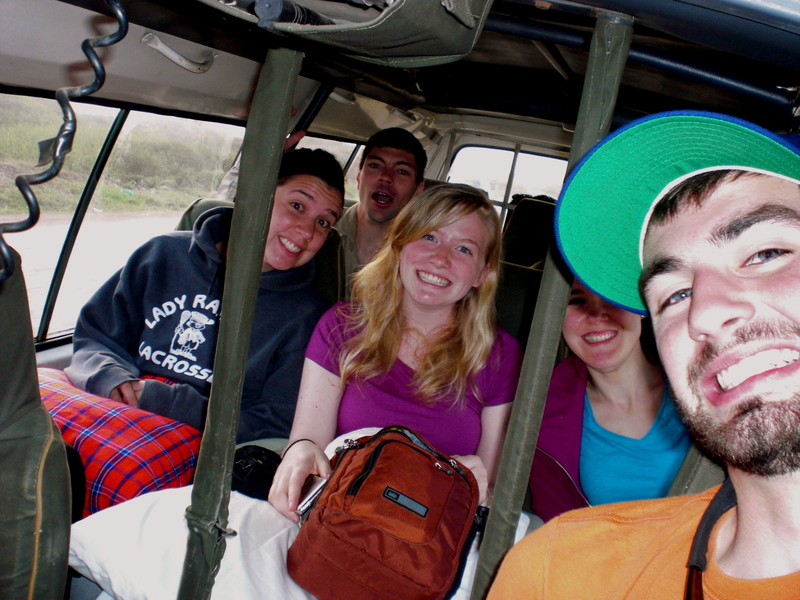 This past weekend, we were lucky enough to travel to the Masai Mara National Park/Game Reserve and go on SAFARI!!! After a 7 hour drive (3 hours on very bumpy “roads made in Kenya”), we arrived at our tents of residence for the weekend. 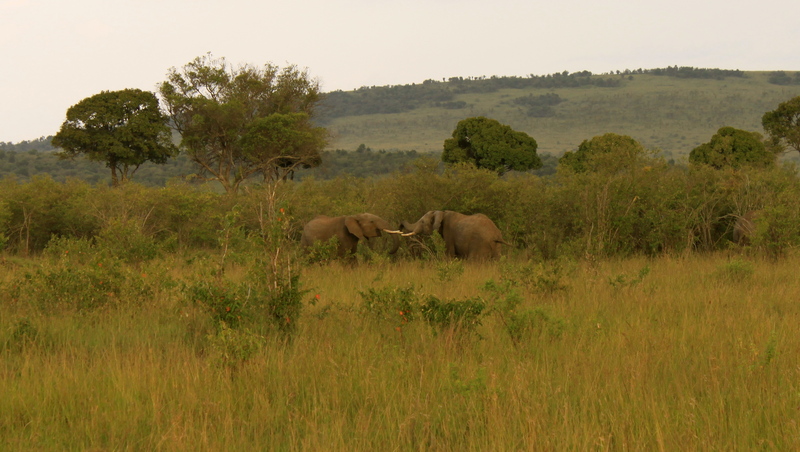 We almost immediately went out on our first game drive (at 4pm) to look for animals. It is migration season right now, so Zebras and Wildebeest are everywhere! In the next two days, we saw 40 elephants, 30 lions, 30 giraffes, 20 hippos, 2 leopards, a cheetah, and about 25 other different types of magnificent creatures! It was truly awesome to have the chance to spend 3 days in wonder at God’s creation. We had a great time as a team, took many pictures, created many inside jokes, and made good friends with our driver. 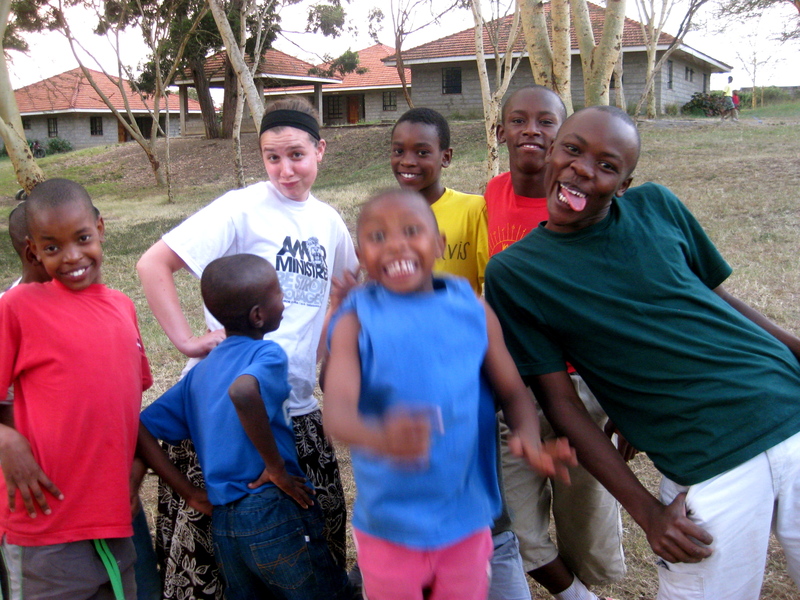 We look forward to many more weekend excursions, but our hearts feel at home with the children here in Rafiki. Upon return from Safari last night, we were greeted with loving handshakes along with smiles and many questions. Today, we went with ~20 Rafiki children and led games at a Special needs school for mentally disabled children. 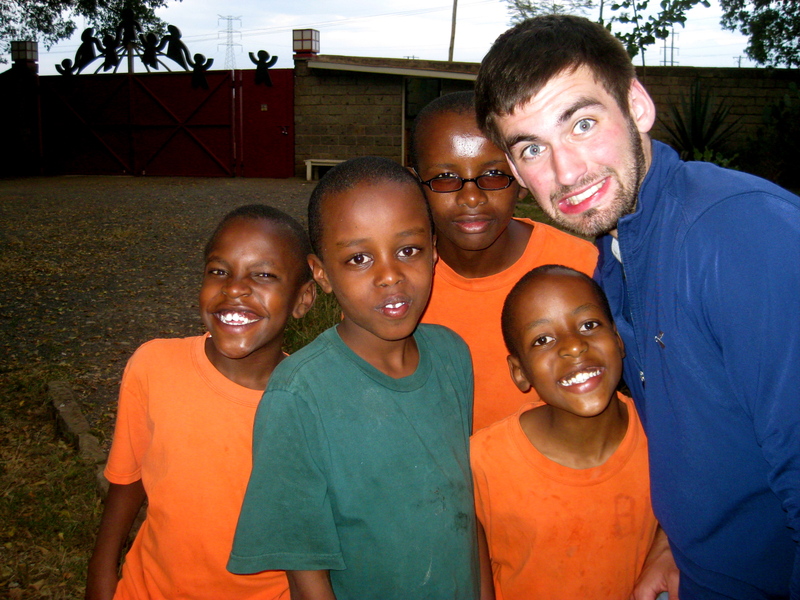 This experience was a unique one, and I was very impressed at how the Rafiki children helped in leadership/assistance there. Today showed me that the Lord has many surprises up His sleeve, and will continue to give us new challenges/experiences as we vivaciously pursue Him in our lives! Pray for us to continue to have energy, patience, and intentionality when working with these children and each other, and to glorify God with our actions every minute of every day of our lives…because each moment is truly a gift from God. 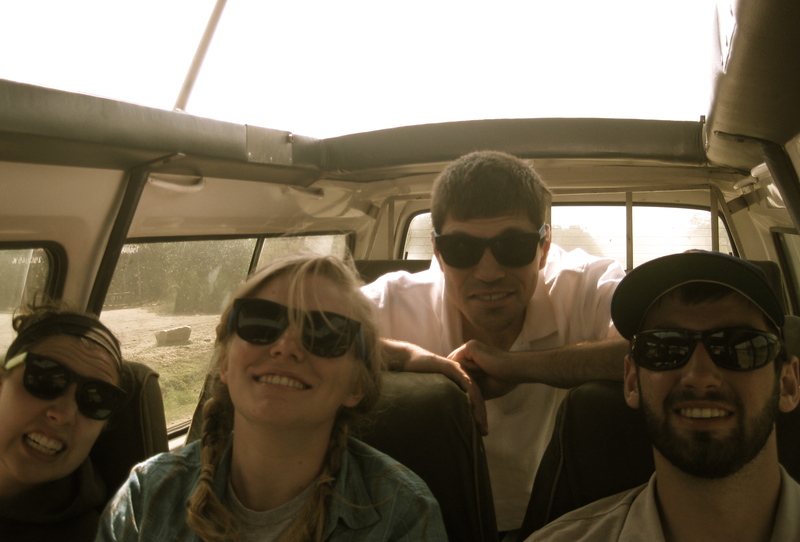 We’ve been in Kenya a week and already I feel we are slowing down. A couple of us have gotten sick and are still in recovery (nothing serious, so don’t be alarmed). Just minor stomach aches and headaches. It’s been tough, but we are pushing on. The kids themselves are a handful and I don’t think we realized just how much energy it would take to be around 97 children (the majority under 10). There are some that have attitudes and they don’t quite understand the concept of hurt feelings. A few mini missionary girls have already been called fat or men because they have arm hair… Which is a blow to the self-esteem even if we recognize they are only children. I feel sometimes myself losing sight of why I am here. But when I look around at the foundation staff and the mamas and aunties I remember our purpose. We’re here to serve and love these children with all we have. We’re here to serve and love the staff who go above and beyond for the sake of these children. We’re here to serve one another and build each other up when we become down trodden. So I will put my weariness aside and give all I have. That is what we are called to do. Everyday, all day. I trust that this finds you well. I am well and just wanted to let you know that the team arrived well. They are in high spirit, a bit sleepy but should be good to go in a few days. Thanks for sending them over, we will have great time together. To all of you males going on Deputation/already are on Deputation, if you were thinking about shaving sometime soon…DON’T! 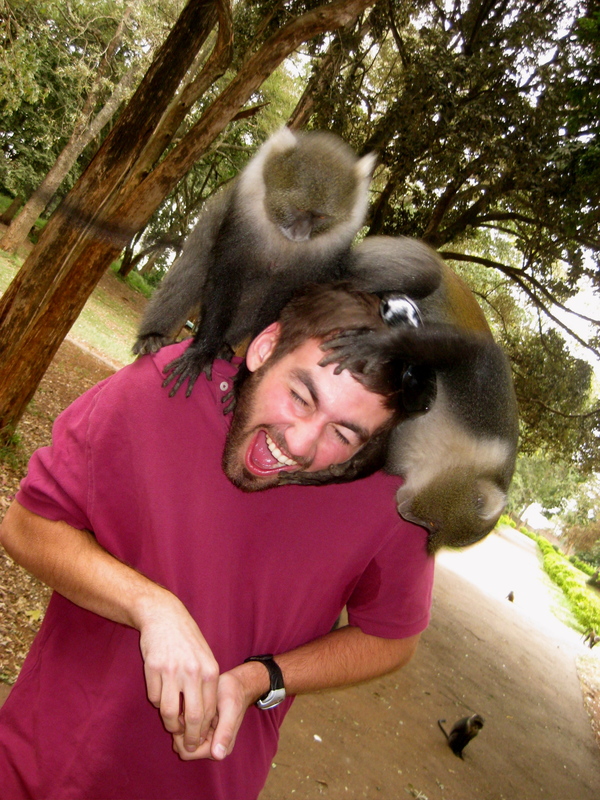 Whoever has the gnarliest beard at the end of these next two months gets a tbd prize from the Kenya Rafiki team. In other news, we just arrived safely to the Rafiki compound just past the town of Njiru after approximately 26 hours of overall travel time! It is almost 3pm in the afternoon (10hrs ahead of Seattle time), and we are now looking forward to a tour from Yeen-Lan, the Village Director. One of the first things we saw driving out of the airport was a ZEBRA, we are definitely in Africa! Hope all of the other teams are arriving safely and we will update again soon!